A blue shield with a gold relief of wings. by Knights of the Blue.. Most shields deal Strike damage, with a few exceptions. 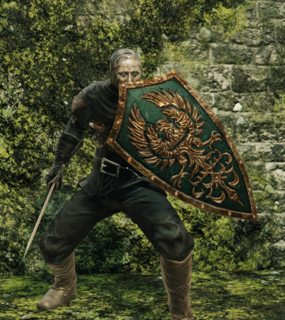 Poise Damage: The ability of the shield to break the poise of an enemy. Durability: The durability of the shield. 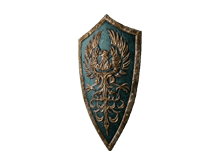 The shield will break when durability reaches 0. 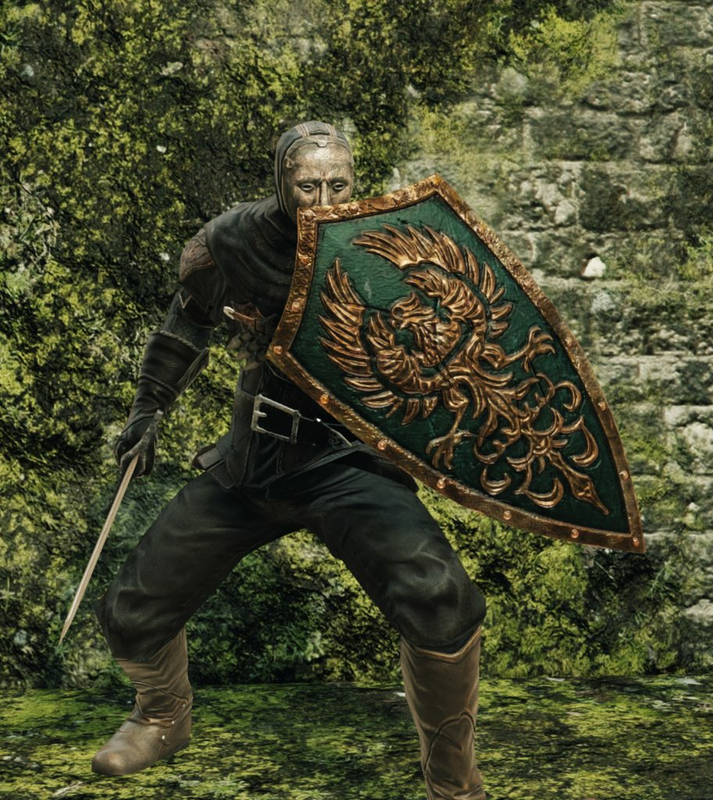 While it is possible to use a shield with lower-than-required Strength, your character will suffer a severe penalty to damage reduction. The Aux Effect Reduction % of the shield. It dictates how much effect the shield mitigates while blocking.